This is “Government and Fiscal Policy”, chapter 12 from the book Macroeconomics Principles (v. 1.1). For details on it (including licensing), click here. Shaken by the severity of the recession that began in December 2007, Congress passed a huge $787 billion stimulus package in February 2009. President Obama described the measure as only “the beginning” of what the federal government ultimately would do to right the economy. Roughly a third of the Recovery and Reinvestment Act is for a variety of tax cuts for individuals and firms. For example, each worker making less than $75,000 a year will receive $400 ($800 for a working couple earning up to $150,000) as a kind of rebate for payroll taxes. That works out to $8 a week. Qualifying college students are eligible for $2,500 tax credits for educational expenses. The other two-thirds is for a variety of government spending programs. The president said that the measure would “ignite spending by businesses and consumers … and make the investment necessary for lasting growth and economic prosperity.”Barack Obama, Weekly Address of the President to the Nation, February 14, 2009, available at http://www.whitehouse.gov/blog/09/02/14/A-major-milestone/. The measure illustrates an important difficulty of using fiscal policy in an effort to stabilize economic activity. It was passed over a year after the recession began. According to an estimate by the Congressional Budget Office (CBO), only about 20% of the spending called for by the legislation will take place in 2009, rising to about two-thirds through the middle of 2010. It is a guess what state the economy will be in then. A fiscal stimulus package of over $150 billion had already been tried earlier in February 2008. It included $100 billion in tax rebates to households—up to $600 for individuals and $1,200 for couples— and over $50 billion in tax breaks for businesses. The boost to aggregate demand seemed slight—consumers saved much of their rebate money. In November 2008, unemployment insurance benefits were extended for seven additional weeks, in recognition of the growing unemployment problem. President Obama argued that his proposals for dealing with the economy in the short term would, coincidentally, also promote long-term economic health. Some critics argued for a greater focus on tax cuts while others were concerned about whether the spending would focus on getting the greatest employment increase or be driven by political considerations. While government spending has grown over time, government purchases as a share of GDP generally declined from over 20% until the early 1990s to under 18% in 2001. Since then, though, the percentage of government purchases in GDP began to increase back toward 20%, first as military spending picked up and then more recently to over 20% during the 2007-2009 recession. 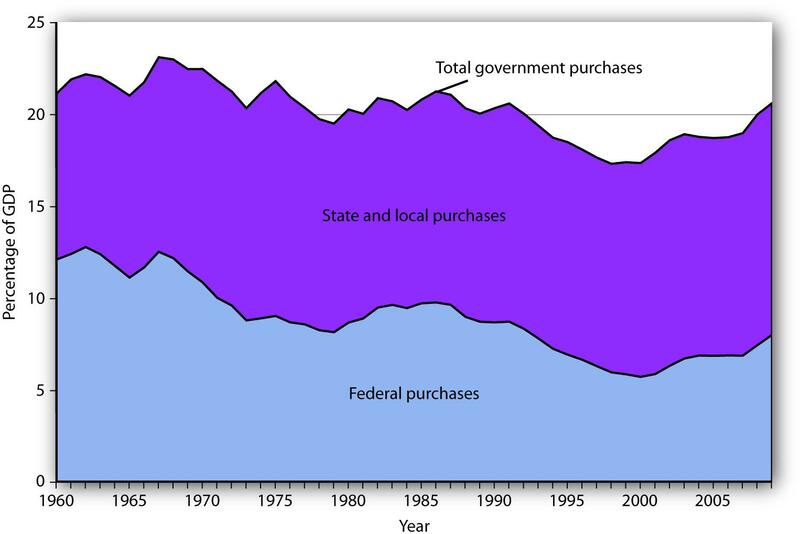 Figure 12.1 "Federal, State, and Local Purchases Relative to GDP, 1960–2009" shows federal as well as state and local government purchases as a percentage of GDP from 1960 to 2009. Notice the changes that have occurred over this period. In 1960, the federal government accounted for the majority share of total purchases. Since then, however, federal purchases have fallen by almost half relative to GDP, while state and local purchases relative to GDP have risen. Government purchases were generally above 20% of GDP from 1960 until the early 1990s and then below 20% of GDP until the 2007-2009 recession. The share of government purchases in GDP began rising again in the 21st century. Source: Bureau of Economic Analysis, NIPA Table 1.1 and 3.1 (November 23, 2010 revision). A transfer paymentThe provision of aid or money to an individual who is not required to provide anything in exchange. is the provision of aid or money to an individual who is not required to provide anything in exchange. Social Security and welfare benefits are examples of transfer payments. During the 2007-2009 recession, transfers again rose. 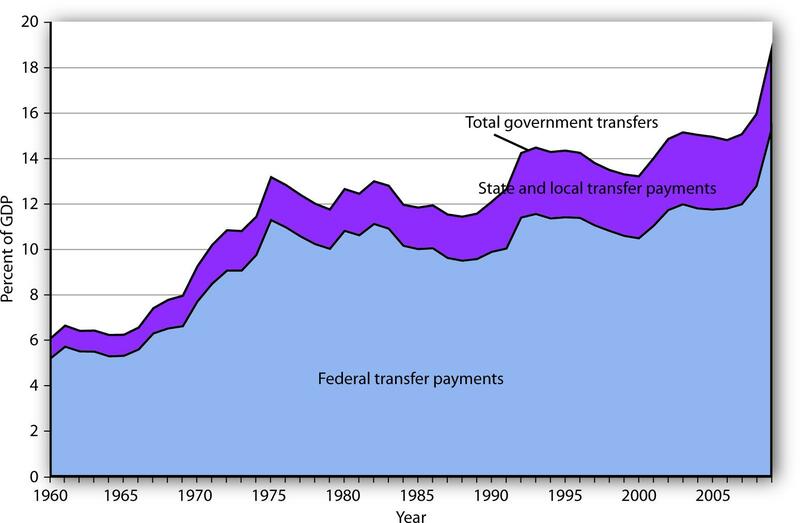 Figure 12.2 "Federal, State, and Local Transfer Payments as a Percentage of GDP, 1960–2009" shows that transfer payment spending by the federal government and by state and local governments has risen as a percentage of GDP. In 1960, such spending totaled about 6% of GDP; by 2009, it had risen to about 18%. The federal government accounts for the bulk of transfer payment spending in the United States. 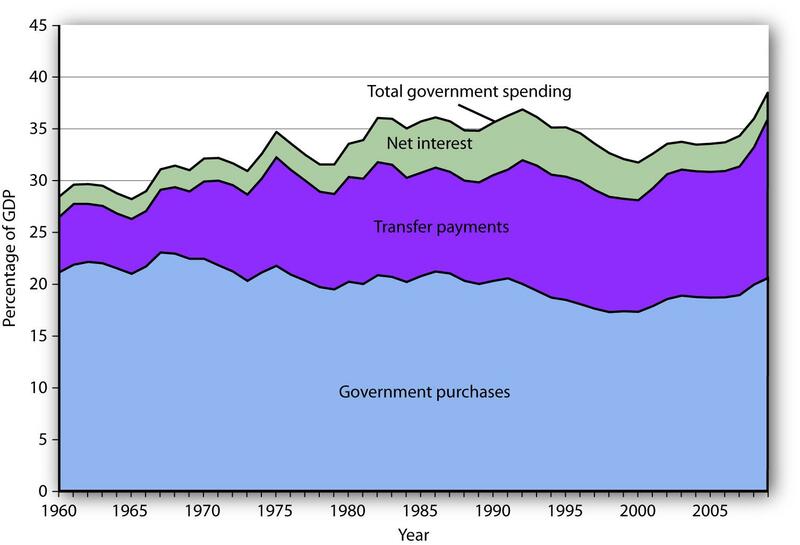 The chart shows transfer payment spending as a percentage of GDP from 1960 through 2009. This spending rose dramatically relative to GDP during the late 1960s and the 1970s as federal programs expanded. More recently, sharp increases in health-care costs have driven upward the spending for transfer payment programs such as Medicare and Medicaid. Transfer payments fluctuate with the business cycle, rising in times of recession and falling during times of expansion. As such, they rose sharply during the deep 2007-2009 recession. Source: Bureau of Economic Analysis, NIPA Table 1.1, 3.2, and 3.3 (November 23, 2010 revision). Transfer payment spending relative to GDP tends to fluctuate with the business cycle. Transfer payments fell during the late 1970s, a period of expansion, then rose as the economy slipped into a recessionary gap during the 1979–1982 period. Transfer payments fell during the expansion that began late in 1982, then began rising in 1989 as the expansion began to slow. Transfer payments continued to rise relative to GDP during the recessions of 1990–1991 and 2001–2002 and then fell as the economy entered expansionary phases after each of those recessions. During the 2007—2009 recession, transfers again rose. Figure 12.3 "Government Spending as a Percentage of GDP, 1960–2009" summarizes trends in government spending since 1960. It shows three categories of government spending relative to GDP: government purchases, transfer payments, and net interest. Net interest includes payments of interest by governments at all levels on money borrowed, less interest earned on saving. Federal receipts come primarily from payroll taxes and from personal taxes such as the personal income tax. 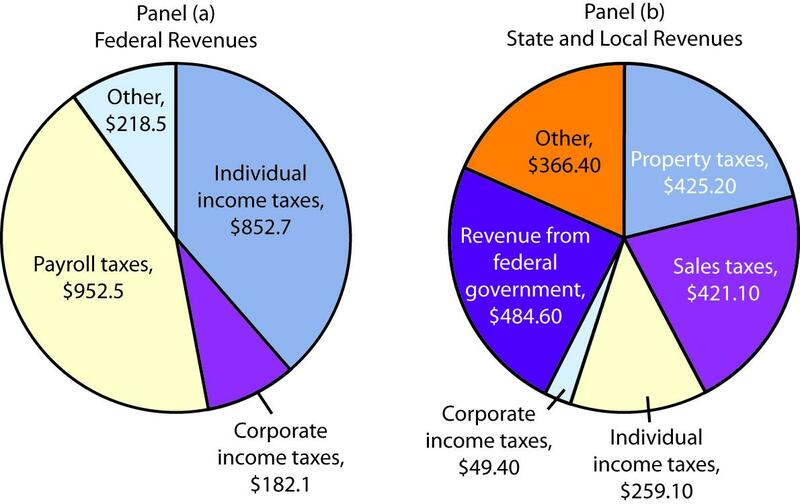 State and local tax receipts come from a variety of sources; the most important are property taxes, sales taxes, income taxes, and grants from the federal government. Revenue shares are for 2009. Source: Bureau of Economic Analysis, NIPA Table 3.2 and 3.3 (November 23, 2010 revision). 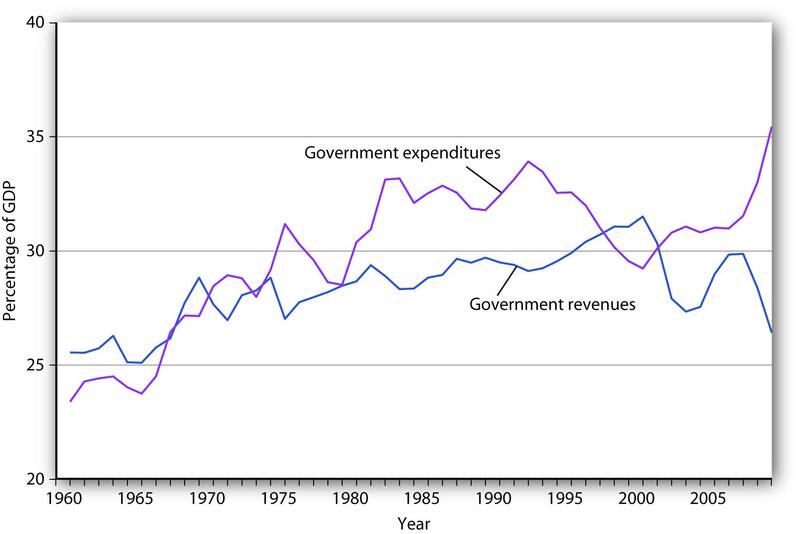 Figure 12.5 "Government Revenue and Expenditure as a Percentage of GDP, 1960–2009" compares federal, state, and local government revenues to expenditures relative to GDP since 1960. The government’s budget was generally in surplus in the 1960s, then mostly in deficit since, except for a brief period between 1998 and 2001. Bear in mind that these data are for all levels of government. The administration of George W. Bush saw a large increase in the federal deficit. In part, this is the result of the government’s response to the terrorist attacks in 2001. It also results, however, from large increases in federal spending at all levels together with tax cuts in 2001, 2002, and 2003. The federal deficit is projected to be even larger during the administration of Barack Obama. 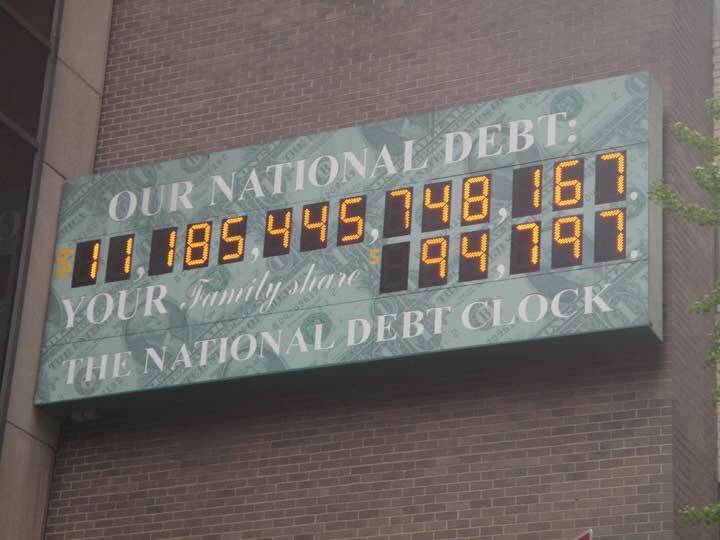 The national debtThe sum of all past federal deficits, minus any surpluses. is the sum of all past federal deficits, minus any surpluses. Figure 12.6 "The National Debt and the Economy, 1929–2009" shows the national debt as a percentage of GDP. It suggests that, relative to the level of economic activity, the debt is well below the levels reached during World War II. The ratio of debt to GDP rose from 1981 to 1996 and fell in the last years of the 20th century; it began rising again in 2002. The national debt relative to GDP is much smaller today than it was during World War II. The ratio of debt to GDP rose from 1981 to 1996 and fell in the last years of the 20th century; it began rising again in 2002. Sources: Data for 1929–1938 from Historical Statistics of the United States, Colonial Times to 1957—not strictly comparable with later data. Data for remaining years from Office of Management and Budget, Budget of the United States Government, Fiscal Year 2011, Historical Tables. Judged by international standards, the U.S. national debt relative to its GDP is somewhat above average among developed nations. Figure 12.7 "Debts and Deficits for 26 Nations, 2008" shows national debt as a percentage of GDP for 26 countries in 2008. It also shows deficits or surpluses as a percentage of GDP. The chart shows national debt as a percentage of GDP and deficits or surpluses as a percentage of GDP in 2008. 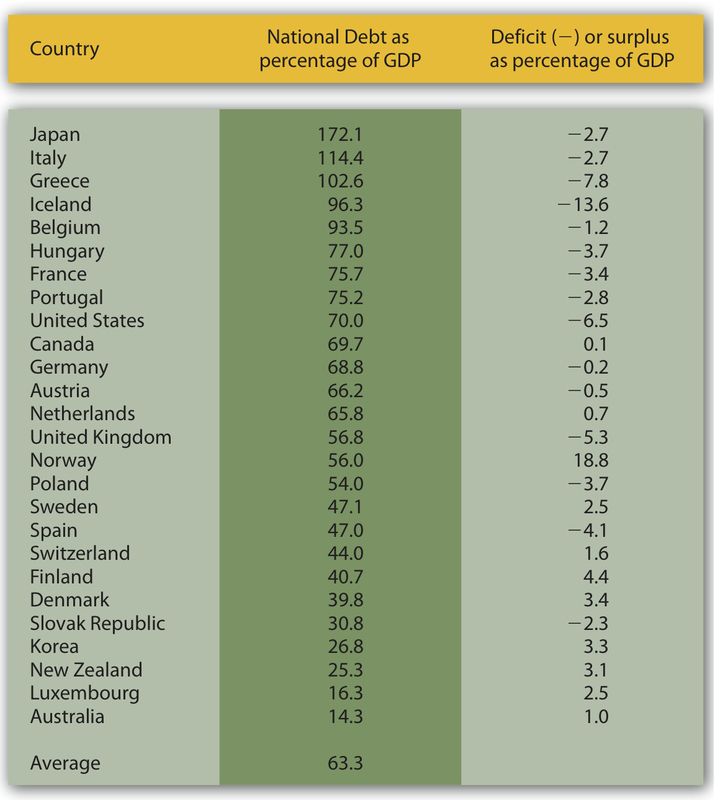 The national debt of the United States relative to its GDP was somewhat above average among these nations. Source: Organisation for Economic Co-operation and Development (OECD). Factbook 2010. OECD Publishing, May 25, 2010. The table below gives generational accounting estimates for the United States for the year 2004 for males and females. Notice that the net burden on females is much lower than for males. That is because women live longer than men and thus receive Social Security and Medicare benefits over a longer period of time. Women also have lower labor force participation rates and earn less than men, and pay lower taxes as a result. Sources: Jagadeesh Gokhale, “Generational Accounting,” The New Palgrave Dictionary of Economics, 2nd ed. (forthcoming). Some tax and expenditure programs change automatically with the level of economic activity. We will examine these first. Then we will look at how discretionary fiscal policies work. Four examples of discretionary fiscal policy choices were the tax cuts introduced by the Kennedy, Reagan, and George W. Bush administrations and the increase in government purchases proposed by President Clinton in 1993. The 2009 fiscal stimulus bill passed in the first months of the administration of Barack Obama included both tax cuts and spending increases. All were designed to stimulate aggregate demand and close recessionary gaps. 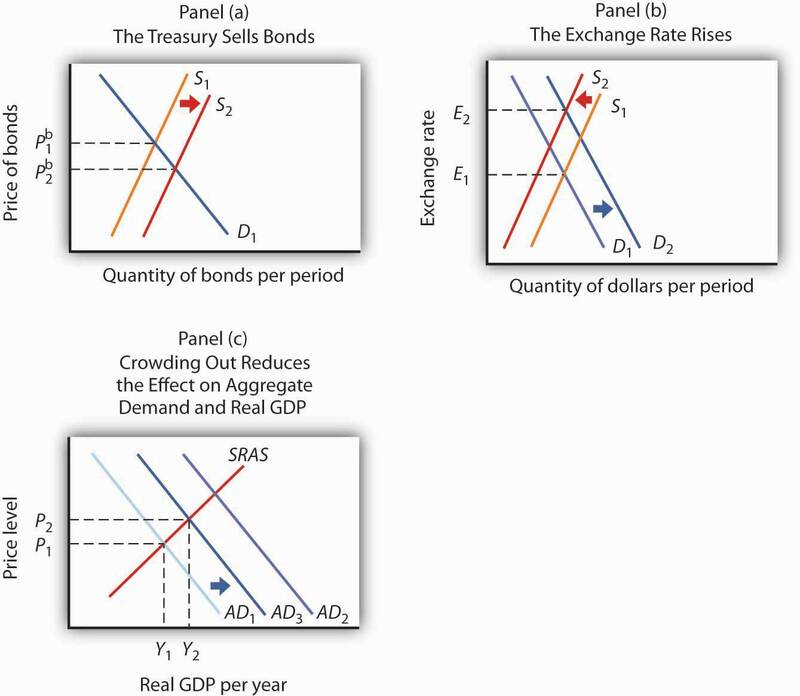 Figure 12.9 "Expansionary and Contractionary Fiscal Policies to Shift Aggregate Demand" illustrates the use of fiscal policy to shift aggregate demand in response to a recessionary gap and an inflationary gap. In Panel (a), the economy produces a real GDP of Y1, which is below its potential level of Yp. An expansionary fiscal policy seeks to shift aggregate demand to AD2 in order to close the gap. In Panel (b), the economy initially has an inflationary gap at Y1. A contractionary fiscal policy seeks to reduce aggregate demand to AD2 and close the gap. Now we shall look at how specific fiscal policy options work. In our preliminary analysis of the effects of fiscal policy on the economy, we will assume that at a given price level these policies do not affect interest rates or exchange rates. We will relax that assumption later in the chapter. 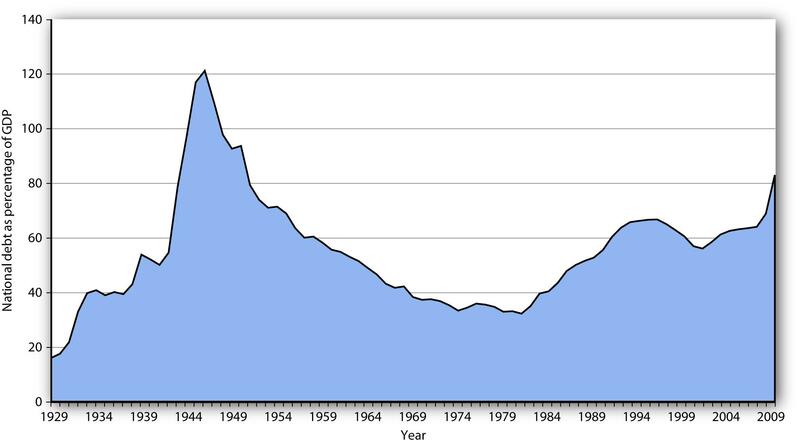 Figure 12.10 "An Increase in Government Purchases" shows the effect of an increase in government purchases of $200 billion. The initial price level is P1 and the initial equilibrium real GDP is $12,000 billion. Suppose the multiplier is 2. The $200 billion increase in government purchases increases the total quantity of goods and services demanded, at a price level of P1, by $400 billion (the $200 billion increase in government purchases times the multiplier) to $12,400 billion. The aggregate demand thus shifts to the right by that amount to AD2. The equilibrium level of real GDP rises to $12,300 billion, and the price level rises to P2. Suppose, for example, that income taxes are reduced by $200 billion. 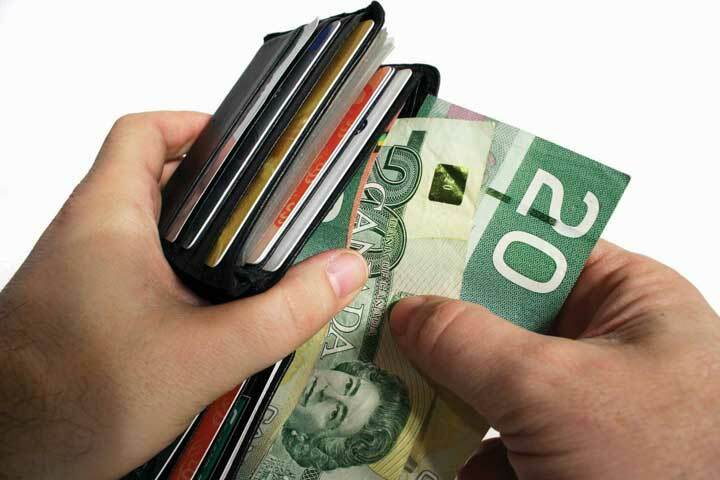 Only some of the increase in disposable personal income will be used for consumption and the rest will be saved. Suppose the initial increase in consumption is $180 billion. 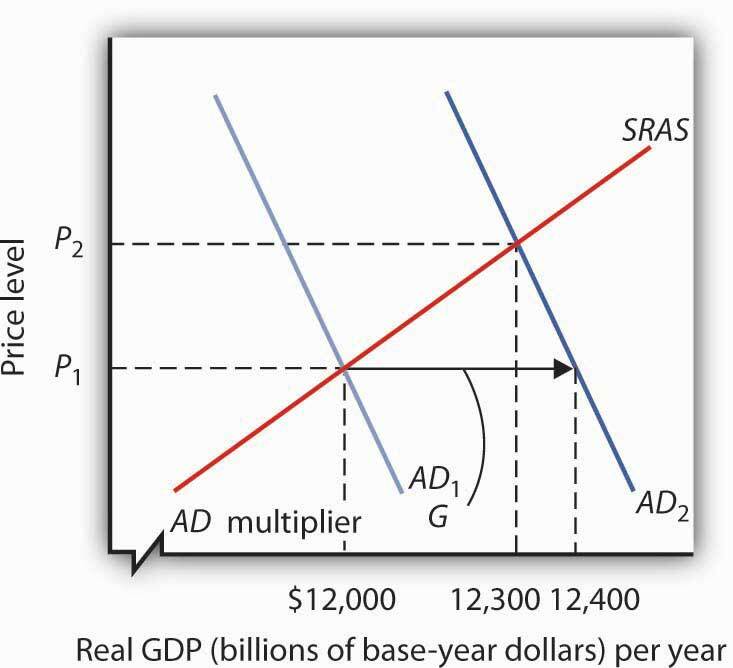 Then the shift in the aggregate demand curve will be a multiple of $180 billion; if the multiplier is 2, aggregate demand will shift to the right by $360 billion. Thus, as compared to the $200-billion increase in government purchases that we saw in Figure 12.10 "An Increase in Government Purchases", the shift in the aggregate demand curve due to an income tax cut is somewhat less, as is the effect on real GDP and the price level. Changes in transfer payments, like changes in income taxes, alter the disposable personal income of households and thus affect their consumption, which is a component of aggregate demand. A change in transfer payments will thus shift the aggregate demand curve because it will affect consumption. Because consumption will change by less than the change in disposable personal income, a change in transfer payments of some amount will result in a smaller change in real GDP than would a change in government purchases of the same amount. As with income taxes, a $200-billion increase in transfer payments will shift the aggregate demand curve to the right by less than the $200-billion increase in government purchases that we saw in Figure 12.10 "An Increase in Government Purchases". Table 12.2 "Fiscal Policy in the United States Since 1964" summarizes U.S. fiscal policies undertaken to shift aggregate demand since the 1964 tax cuts. We see that expansionary policies have been chosen in response to recessionary gaps and that contractionary policies have been chosen in response to inflationary gaps. Changes in government purchases and in taxes have been the primary tools of fiscal policy in the United States. 2008 Recessionary gap Fiscal stimulus package of $150 billion to spur economy. It included $100 billion in tax rebates and $50 in tax cuts for businesses. 2009 Recessionary gap Fiscal stimulus package of $787 billion included tax cuts and increased government spending passed in early days of President Obama’s administration. Christina Romer, tapped by Barack Obama to head the Council of Economic Advisers, has a long history of writing on economic history. Much of her work focuses on the macroeconomic performance of the United States economy over the past 100-plus years and hence also involves painstaking work to construct historical data series. She notes that before World War I, changes in macroeconomic policy could not have affected economic performance, because the government was simply too small, with, for example, government spending as a percent of GNP averaging between 1.5% and 2.5% between 1901 and 1916. During that period, the government did operate under specified monetary standards and banking regulations, but the Federal Reserve was not created until 1914, so there was no monetary institution to respond to macroeconomic instability. Thus, macroeconomic policy can truly be seen as a post–World War II phenomenon. Germaine to the focus on fiscal policy in this chapter, Romer found that discretionary fiscal policy after World War II contributed 0.5 percentage points to the rate of growth of real GDP in years following the troughs of recessions, while automatic stabilizers contributed 0.85 percentage points. Adding in the average contribution of monetary policy of 1.5 percentage points, macroeconomic policy in total contributed 2.85 percentage points to the average actual growth of GDP in the years following troughs of 4.6%. 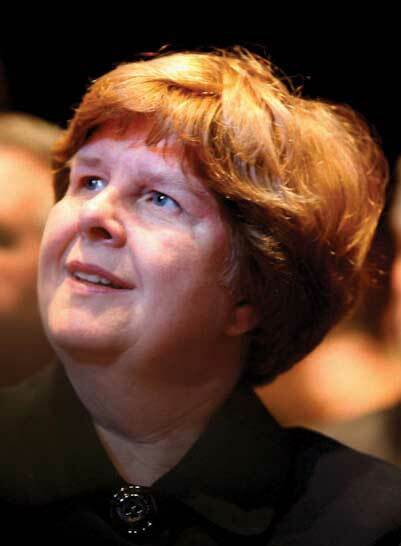 She also concluded that macroeconomic policies likely prevented some recessions or near-recessions. For example, automatic stabilizers muted fluctuations in years of extreme changes in GDP, up or down, by 1 to 2 percentage points in absolute value and fluctuations in years of moderate changes in GDP by about 0.5 percentage points in absolute value. Source: Christina Romer, “Changes in Business Cycles: Evidence and Explanations,” Journal of Economic Perspectives 13, no. 2 (Spring 1999): 23–44. Fiscal policies that could be used to close an inflationary gap include reductions in government purchases and transfer payments and increases in taxes. 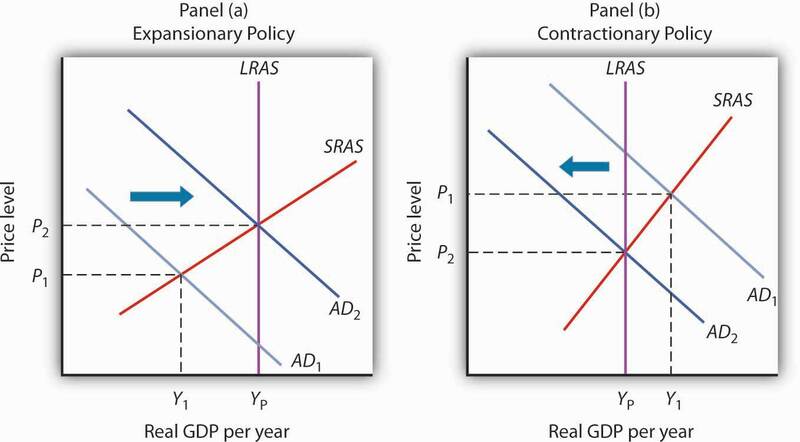 As shown in Panel (b) of Figure 12.9 "Expansionary and Contractionary Fiscal Policies to Shift Aggregate Demand", the goal would be to shift the aggregate demand curve to the left so that it will intersect the short-run aggregate supply curve at YP.